Parry Peak is southeast of Winter Park, Colorado and rises to 13,397’. It is the highest point in the James Peak group of mountains and lies along the Continental Divide Trail. 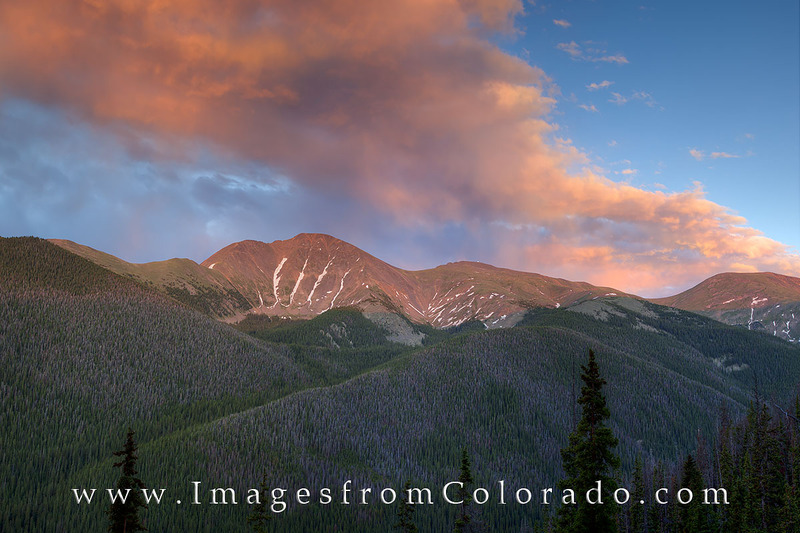 This mountain image was taken from one of the Winter Park ski trails in the evening as clouds of orange and pink streamed across the sky. Photo © copyright by Rob Greebon.